Listen In -> Employees… What Are They Good For? #1: Expense or Asset? One is the leader who views their employees as an expense to be minimized. The other is the leader who views their employees as an asset into whom to invest. The one is most often at odds with their team. Cracking the whip to make sure no one is slacking off. Squeezing out every last drop of effort, delaying promotions, denying vacations, and doing their best to protect the company from the unfortunate necessity of needing more hands and feet to get the job done. The other leader is grateful to surround him or herself with a complementary set of skills, experiences, working styles and passions. This leader is most often working in concert with their team. Building on strengths, strengthening weaknesses, expressing confidence, extending trust, and celebrating aggressive goals achieved. Working with people, of course, has both its ups and downs. 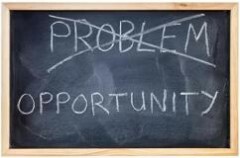 What is significant though is the beginning lens through which you choose to views these problems and opportunities. Are your employees are an expense to minimize or an asset to maximize? The lens you choose will have a radical impact on how you deal with four common employee problems. Week 1: Expense or Asset? What lens do you use when addressing employee problems? Each week the conversation will continue. Catch up on the entire series here. This entry was posted on Wednesday, July 18th, 2012 at 9:02 am	and is filed under Employees... What Are They Good For?. You can follow any responses to this entry through the RSS 2.0 feed. You can leave a response, or trackback from your own site.